Situated in the countryside, Les Quatre Pins offers a quiet retreat when visiting the Dordogne region of France. How did you get started in the bed and breakfast business? For over 30 years, Stephen (my husband) and I had visited France for our annual holiday. We stayed in many different regions. We loved the French culture, space and climate. After living and working in Yorkshire, England for over 30 years; myself in administration and Stephen for a book company, we decided we would move to France to start our bed and breakfast business. How many years has your bed and breakfast been in operation? We chose to move in November 2001 from England to the delightful Dordogne area. After making alterations to our home in order to offer accommodations to guests, we opened our bed and breakfast in May 2003. What is the history behind your bed and breakfast? The property was previously owned by a couple from Holland as their holiday home. They later extended the property and decided to live in Grolejac permanently, but then decided to move to the south of France to be closer to family. We fell in love with the quiet and sunny location, but the home had not been lived in for two years, so the property and garden required a lot of hard work and tender loving car. We knew it would make a lovely home for ourselves and for our guests to enjoy the facilities of the swimming pool and sun terrace seating area. What do you enjoy most about running a bed and breakfast? We enjoy meeting different people from all over the world, hearing about their travel experiences and the countries where they live. 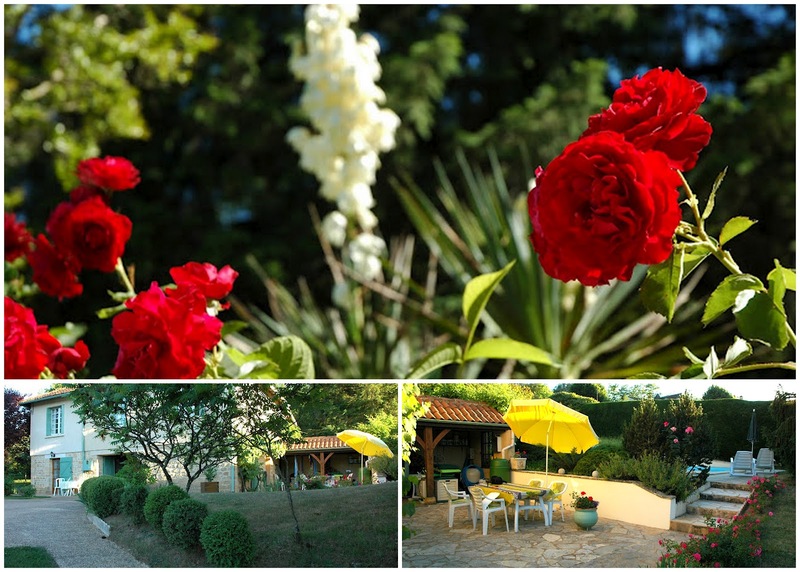 We try to make ever guest feel special by making their visit to the delightful Dordogne enjoyable. What makes your bed and breakfast unique from others in your area? Our bed and breakfast is one of only a few locally with a swimming pool. The two ground floor bedrooms each have their own private entrance and are separate from the owners accommodations, which gives everyone their own privacy. Breakfast is served continental style; consisting of fresh fruit, fruit juice, cereals, croissants and various breads. One bread we enjoy serving is walnut bread, a specialty of the Dordogne and Perigord noir. Recipe and Image via Ocado. In France, this savoury bread is a traditional accompaniment to the cheese course. 1. Mix the first 5 ingredients in a large bowl, making a well in the centre. Stir 360ml (12fl oz) tepid water and the walnut oil into the well. Gradually add up to 100ml (31/2fl oz) more water until the flour is incorporated and the dough is soft. 2. Turn out the dough on to a lightly floured surface and knead for 5–8 minutes, or until smooth and elastic. Shape into a ball. 3. Rub the inside of a dry bowl with oil. Put the dough in the bowl, cover with cling film, and leave in a warm place until doubled in size. Meanwhile, lightly dust a large baking tray with flour. 4. Punch down the dough, turn it out onto a floured surface, and knead for 1 minute. Pat the dough into a rectangle and sprinkle with the walnuts. Knead for a few more minutes, or until the nuts are evenly distributed. 5. Cut the dough in half and form each into a ball. Transfer to the baking tray and flatten. Cover with a tea towel and leave to rise for 15 minutes. Preheat the oven to 220°C (425°F/Gas 7). 6. Lightly dust the dough with flour, then cut a 5mm (1/4in) deep square, in the top of each. Bake for 10 minutes, reduce the temperature to 190°C (375°F/Gas 5), and bake for a further 25–35 minutes, or until the bases sound hollow when tapped. Transfer to a wire rack and leave to cool. Where did the name 'Les Quatre Pins' come from? 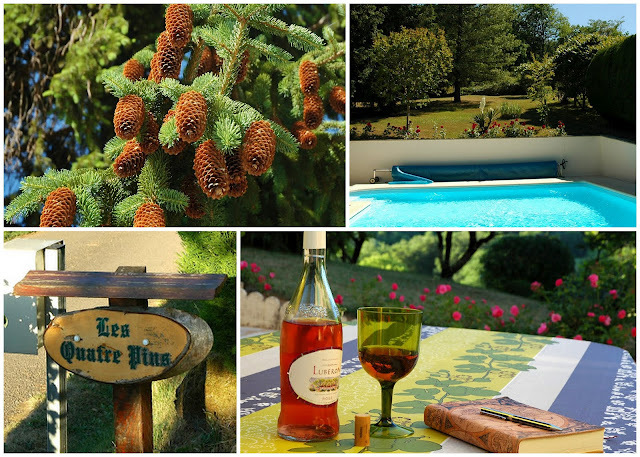 Les Quatre Pins translates to 'The Four Pines' in French. Our property is situated amongst four large beautiful pine trees. They make it nice to lounge by the pool or relax on the patio for those long summer afternoons and evenings. What is there to do in the Dordogne region of France? 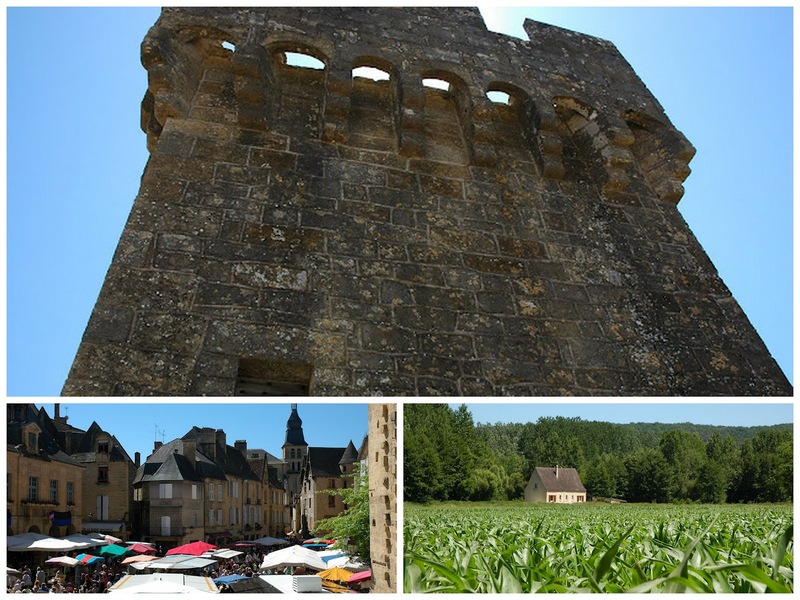 There are picturesque towns nearby like Rocamadour, Domme, Beynac, La Roque-Gageac, and more. Sarlat holds a huge must-see market on Wednesday and Saturdays. There are numerous castles nearby to tour and rivers to kayak or go on a gabarre boat ride. The Gardens of Marqueyssac are also beautiful to visit. 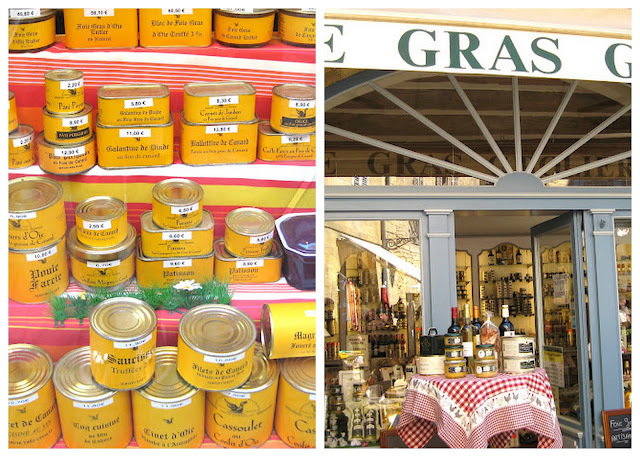 The area is also famous for its foie gras. To make reservations, please visit Les Quatre Pins.